I was growing BT cotton for many years but inspired by an awareness program on organic farming I decided to quit chemicals! I was then forced to stop growing BT cotton as it is grown chemically. By leaving chemicals instantly I was in trouble as there was no produce from any crop. The soil takes 3 years to adjust to the change from chemicals to organic! Another reason was that I was not trained in organic farming so I suggest other farmers to take training in chemical free farming and covert their farmland organic part by part. Growing desi cotton is profitable for farmers in every aspect! It needs less water and soil also remains healthy. By using farm compost the production of desi cotton will be 3-5quintal/acre. If we cultivate desi cotton then we can get two crops. We can grow millets, pre monsoon we can cultivate garlic, onion, chili and later post monsoon we can grow desi cotton. On the contrary BT cotton gives money during first few years but yield reduces as years pass by as the soil fertility is ruined. 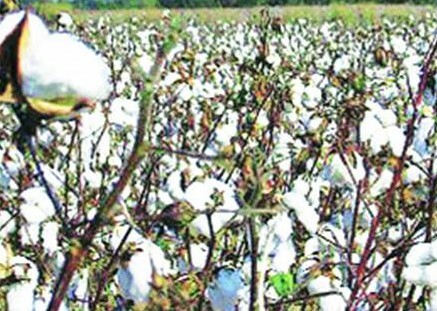 There is huge demand for desi cotton. Farmers must start growing desi cotton for sure. 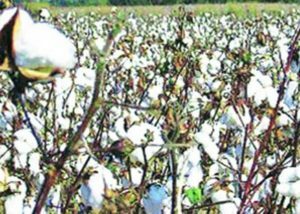 Desi cotton is sown in August- September. Some varieties are sown in June, some in September. I grow ‘mara’ and ‘sri’ desi cotton in June-July. It starts fruiting from August –September and harvested till 2months. 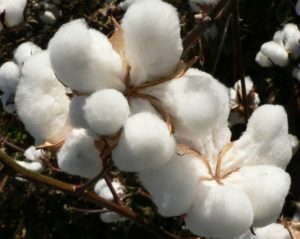 The cotton produced from these desi varieties is used as wicks for lamps. Cultivation method of desi cotton involves 3 times spray of jeevamrutha, garlic decoction, neem decoction and chilli decoction. Disease attack on desi cotton is negligible but pest attacks are slightly more so we need garlic, neem and chilli spray. There is another desi cotton variety ‘Jayadhar’ that is resistant to pests and yields about 2-4quintal/acre. It is used for making clothes. I have a ginning machine to separate cotton and seeds. Seeds are used for oil extraction or as feed to cattle. Mostly seeds are fed to the cattle at my farm or when in excess I sell it to other dairy farmers at Rs. 50/kg. However same seeds are sometimes sold to other farmers for growing at Rs. 40-180/kg depending upon the variety. Procuring desi cotton seeds is a huge challenge. It can be sourced either from Government agricultural universities or NGO run seed banks. I also grow vegetables, millets, legumes and groundnuts organically. In my 7 acre farm I grow 9 millets along with byadagi chili, black eyed beans, green gram, tur dal and groundnuts. All these crops are grown primarily for selling as seeds to other farmers. However, if in excess it is sold as food grains to end consumers. The produce is sold as food grains only after the seed season is over! 45 bags/acre is the groundnut production. I harvest groundnuts 15days early to sell it as seeds. The production and sales are fairly good. I am earning more money because my entire farm is organic. These days’ millets are having good demand so I get regular orders from direct consumers. I courier them the produce if I have the sufficient quantity. Even banana is grown in small area in the farm. Entire produce was sold to fruit traders till date but now I shall start processing raw banana into of chips in the next season. Intercropping is imperative in farming. When ragi is cultivated, it is intercropped with tur dal. Both crops complement each other. Similarly around groundnut, black eyed beans or green gram is grown. Also different varieties of sesame will be grown on the edge around these crops. In summers, navane is cultivated along with black eyed beans and sesame. It is significant for pest management and securing the income. If one crop fails then another crop is assured for sale and cash inflow is maintained. Intercropping does not require more investment instead brings down the production cost and water requirement. Desi cotton is paired with tuar dal (pigeon pea) crop. It was done so to avoid crossing of jowar (sorghum) grown in neighbor’s farm. Also tuar plants grow tall and provide a protective cover to cotton. Okra or marigold is grown for keeping the pest away from the farm. Thus intercropping is intrinsic part of organic farming. Agriculture gives good income if the farming practices are correct. I had loss during the switch from chemical to organic but now it is steady and profitable phase. Adopt organic/natural farming and desi seed to bring the desired change in the life!